When a green card expires, it’s natural to procrastinate before renewing it. After all, the USCIS fee to renew or replace a green card is currently $540. That’s a lot of money for anyone. But an expired green card does have consequences that can be even more costly. The problem is that very little can substitute for a green card. When you need it, you’ll really need it. Although you will not lose your permanent resident status due to an expired card, it will create some major problems. It can take five to six months to renew the card. Therefore, we recommend starting the renewal process six months prior to the expiration date on your card. 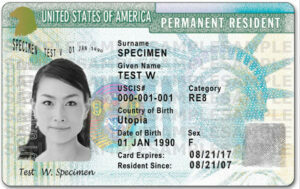 Use Form I-90, Application to Replace Permanent Resident Card, to renew an expired green card. When starting a new job, you will generally be required to complete a Form I-9 for your new employer. The I-9 is used to verify your identity and permission to work within the United States. Most lawful permanent residents will be required to present a valid green card to satisfy the “List A” document requirements. Per the I-9 instructions, a newly hired employee must complete and sign the I-9 “no later than the first day of employment.” If you present a green card that’s expired, employers should not accept it. This will be a major problem starting your new job. You may use a foreign passport with a temporary I-551 stamp as a List A document. If you do not already have a valid I-551 stamp inside your passport, you will need to schedule an appointment at your local USCIS office through InfoPass. (Note: if you do have the temporary I-551, confirm that it has not expired as well. An I-551 stamp is generally valid for only one year.) This solution is also problematic for two reasons. First, it will be extremely time consuming. It may take several weeks to get your appointment at a USCIS office. Your new employer may not be willing to wait. Also, USCIS will want to you renew your green card anyway. You will still need to file Form I-90 to renew your expired green card. Keeping a job with an expired green card may be impossible in certain occupations. Most states require you to have a valid green card before granting you a professional license. Professional licenses are necessary for a variety of occupations including real estate agents, insurance agents, various brokers, healthcare, law and many more. Without the professional license, the individual cannot do his or her job. Traveling outside the United States with an expired green card can be even more risky. For starters, some airlines won’t board a passenger with a green card that has expired. U.S. law requires airlines to check for proof of permanent residence before boarding. You may also be required to have a valid passport. To re-enter the United States, the Customs & Border Protection (CBP) officer will require valid proof of your lawful permanent resident status. An expired green card is not considered valid proof of permanent resident status, and you should expect a major delay. In the worst cases, this could result in being refused entry. In most cases, it means a long delay and an expensive reentry fee. 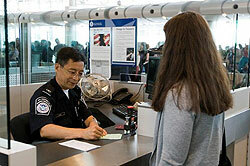 Your permission to re-enter the U.S. is at the discretion of the CBP officer. Don’t take any chances. If Your Green Card Expires Inside the U.S. If your green card has expired prior to traveling abroad but you’re afraid there won’t be time to renew it, there is a solution. You may use a foreign passport with a temporary I-551 stamp. An I-551 stamp is temporary proof (usually one year) that you are a permanent resident. To obtain the stamp inside your passport, you will need to schedule an appointment at your local USCIS office through InfoPass. Schedule the appointment early; it may take several weeks to get your appointment at a USCIS office. You should also file Form I-90 immediately to renew the expired green card. The USCIS officer will probably want to see your Notice of Action (Form I-797) before providing an I-551 stamp. A Notice of Action is generally received within 2-3 weeks of filing Form I-90 and provides proof that the application was accepted by USCIS. If Your Green Card Expires Outside the U.S. In some cases you may have made all the proper arrangements but find that you don’t have a valid green card for re-entry. Each year, hundreds of travelers have their green cards lost, stolen, damaged or simply realize that it has expired. If your transportation carrier does not allow you to board with an expired green card, you will need to prepare Form I-131A, Application for Travel Document (Carrier Documentation), and submit it in person at the nearest U.S. consular office to request a boarding foil. This process generally takes about 10-14 days. Upon returning to the U.S., you will still be required to renew your expired card by using Form I-90, Application to Replace Permanent Resident Card. Before traveling outside the U.S. as a permanent resident, you should understand all the Risks When Traveling Abroad with a Green Card. As a permanent resident, you are able to get most home mortgages using the same guidelines that apply to U.S. citizens. You are typically eligible for conforming, Fannie Mae or Freddie Mac, and FHA mortgage loans. But as a borrower, you must prove your permanent resident status by providing a photocopy of your green card (and typically Social Security number) to the potential lender. Guidelines will vary by lender, but most mortgage lenders will require a current green card that has not expired. It can take 4-5 months to renew an expired green card. Avoid the hassles of an expired or expiring green card. If you are considering a home purchase, make sure you renew a green card that is expiring within six months. Most states require that you show proof of residency and proof of legal presence. A green card is your proof of legal presence as a U.S. permanent resident. 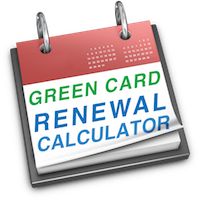 Remember, it takes approximately five to six months to renew a green card. This could also affect your driving privileges for the same period. Each state has its own rules for driver’s licenses. Contact your Department of Motor Vehicles to determine what you need to provide to proof legal presence. In virtually all jurisdictions, you will not be able to renew your driver’s license using an expired green card. However, depending on your state’s requirements, you may be able to use a passport with the I-551 stamp as described above. Check the expiration dates on your driver’s license and green card now. One of the great advantages of becoming a U.S. citizen is the ability to travel with a U.S. passport. What’s more, you won’t have to worry about re-entry permits, green card renewal or any of the reoccurring expenses. The cost benefits of naturalization are staggering! The green card renewal fee keeps climbing. Use the Citizenship Cost Calculator to compare the cost of becoming a U.S. citizen to the cost of remaining a permanent resident. Green cards with no expiration date are valid and may be used to complete the Form I-9 when accepting new employment. USCIS has discussed implementing a rule requiring permanent residents to replace green cards that lack expiration dates, but no such rule has been implemented to date. While more recent versions of the green card expire every ten years, valid green cards issued in the 1970’s and 1980’s may not have an expiration date. Older green cards with no expiration dates can create other problems for travelers. 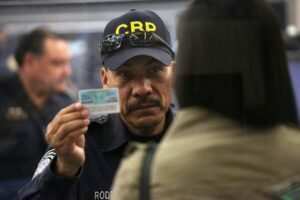 If a Customs & Border Protection (CBP) officer is unable to identify you from the old photo as the legal owner of the green card, you could be delayed until your identity is verified. For example, if the photo was taken when you were much younger, you may be difficult to recognize. Another good reason to update your green card is if you travel frequently. Global Entry kiosks require newer green cards. The GE kiosks cannot read the old format green cards. When you prepare your green card renewal on CitizenPath, we provide simple, step-by-step instructions and alerts to help you avoid costly delays. 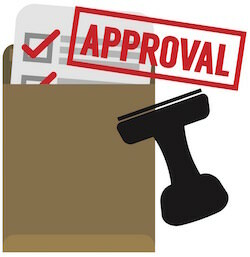 We even guarantee USCIS will approve your form. No credit card is required to try it. There are no penalties or fines for an expired green card. When a green card expires, you continue to be a lawful permanent resident. USCIS will not impose an additional fee or penalty. You will pay the same green card renewal fee. However, that’s not a reason to delay your renewal. Carrying an expired card (or no card at all) will eventually become a problem when it comes time to travel, get a new job, renew a driver’s license or other activities that require proof of permanent residence. If you became a conditional permanent resident through marriage to a U.S. citizen or permanent resident, you have a green card that expires after two years. Do not use Form I-90 to renew a conditional green card. Instead of renewing it, you must file to remove the conditions on residence using Form I-751, Petition to Remove Conditions on Residence. It is extremely important that you file this form within the 90-day window before your green card expires. If you fail to do so, you can be removed from the country. Likewise, conditional residents who obtained status through a financial investment in a U.S. business should not use Form I-90 to renew an expired green card. Investor permanent residents should use Form I-829, Petition by Entrepreneur to Remove Conditions. CitizenPath provides simple, affordable, step-by-step guidance through USCIS immigration applications. Individuals, attorneys and non-profits use the service on desktop or mobile device to prepare immigration forms accurately, avoiding costly delays. CitizenPath allows users to try the service for free and provides a 100% money-back guarantee that USCIS will accept the application or petition. CitizenPath provides support for Green Card Renewal (Form I-90), the Citizenship Application (Form N-400), and several other popular forms.